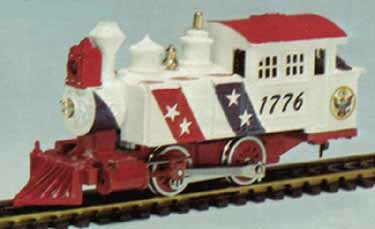 Life-Like's Spirit of '76 HO-Scale Train Set included an F-7A, Maryland Reefer, Pennsylvania Gondola and Spirit of '76 Caboose. 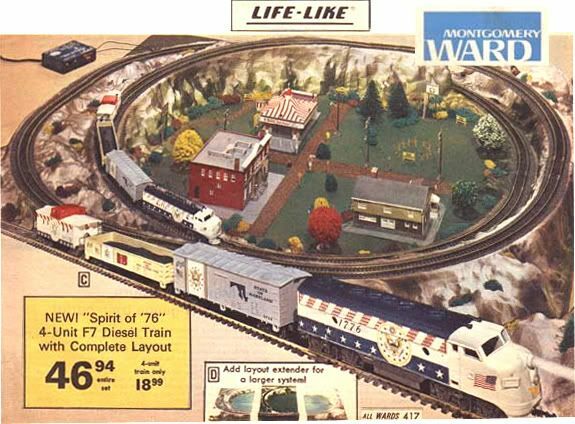 Additionally, the set contained a circle of track and power pack. 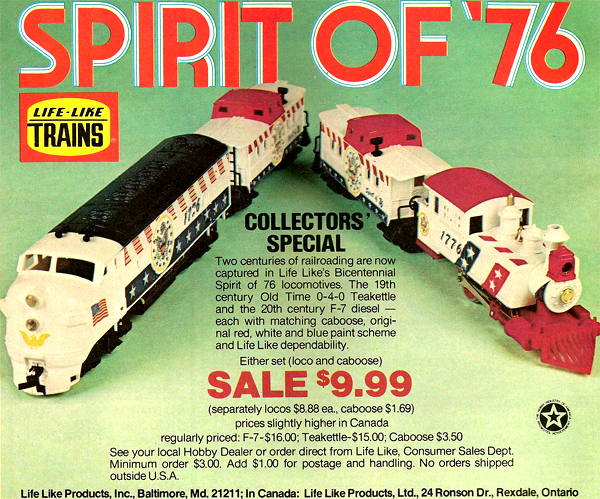 Life-Like's Spirit of '76 HO-Scale Freight Cars included the 40ft Reefer, 40ft Gondola, and Caboose models.